A fast-paced and ever-changing lifestyle at times involves late nights, early mornings, traveling in the scorching heat of the sun and many more stressful activities. More often than not, we cannot get a grasp of it, and the consequences are quite noticeable in our body. One such consequence is dark circles around your eyes. Dark circles to appear for many reasons including general fatigue brought on by stress, aging, unhealthy eating habits, excessive sun exposure, heredity, periorbital hyperpigmentation are just a few of them. Like most people today, we opt for natural remedies to treat dark circles as the ingredients are available at home. But, they’re only effective when you follow it like an everyday ritual. Given our hectic lifestyle, we often fail to keep up with even the routine of cleansing, toning, and moisturizing. Laser Therapy: Laser therapy, a full-proof treatment, use heat energy to vaporize damaged cells which make your skin to turn darker. A laser beam is passed over the darkened surface of the skin to target the pigment under the eyes. Laser resurfacing, which uses a CO2 fractional laser, is commonly used for dark circle treatment. Laser therapy is one of the most effective clinical procedure which, along with lightening darker skin tones, induces new collagen formation and produces glowing skin. Blepharoplasty: Blepharoplasty is a surgical procedure that corrects defects, deformities, and disfigurations of the eyelids; and for aesthetically modifying the eye region of the face. In Blepharoplasty, a plastic surgeon carefully eliminates any muscle, skin and sometimes fat that may be causing the area around your eyes to appear dark. Blepharoplasty, also known as an eyelid surgery or eye lift reduces bagginess from lower eyelids and removes excess skin from the upper eyelids to reduce the shadows that make the skin under the eyes look darker. Fillers: Hyaluronic acid fillers like Restylane, Juvederm and Prevelle Silk are injected into the darkened skin to conceal blood vessels and melanin that are causing skin discoloration beneath your eyes. Fillers containing Hyaluronic acid delivers a dramatic anti-aging effect when injected into the hollow circles under the eyes or the tear troughs and effectively reduces dark circles. Medical Tattoos: In medical tattooing, a computerized permanent cosmetics device is used with specialist needle configurations to automatically adjust needle speed and frequencies and inject pigments into the dark skin under the eyes. The pigments are carefully prepared under the tight supervision of the cosmetic surgeon according to the skin tone of the patient. The procedure, when completed, lightens the dark circles and enhances the skin tone. 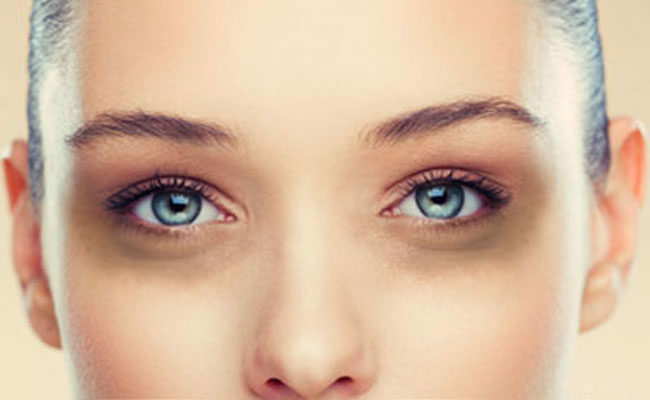 Clinical treatments of dark circles are more permanent and effective than home remedies, but as they are more complex, they must be done by a professionally trained cosmetic surgeon who specializes in the field of permanent paramedical cosmetics. If you are looking to remove dark circles from your face through clinical treatments permanently, you should consider visiting the expert cosmetic surgeons and skin care specialists at the Esthetic Clinics. The Esthetic Clinics are a group of world-class centers, dedicated to plastic surgery and skin care of the entire body. We provide laser surgery, dermatological solutions, cosmetic solutions for skin cosmesis like dark circles, as well as provide therapy for many skin diseases. Dr. Debraj Shome is an award winning plastic surgeon of repute. Dr. Rinky Kapoor is the co-founder of The Esthetic Clinics and an award-winning dermatologist. With over a decade of experience with such treatments and skin ailments, you know your skin is in the right hands.